Backing up photos is important for ensuring you keep your memories safe from things like lost or stolen devices and software crashes. These are the best backup services for taking care of your photographs! Arguably the most important things we carry around with us on our iPhones are our photos: they're personal, unique, and irreplaceable captures of moments in our lives, and if something were to happen to and we hadn't properly backed them up, then our treasured memories would be lost forever! 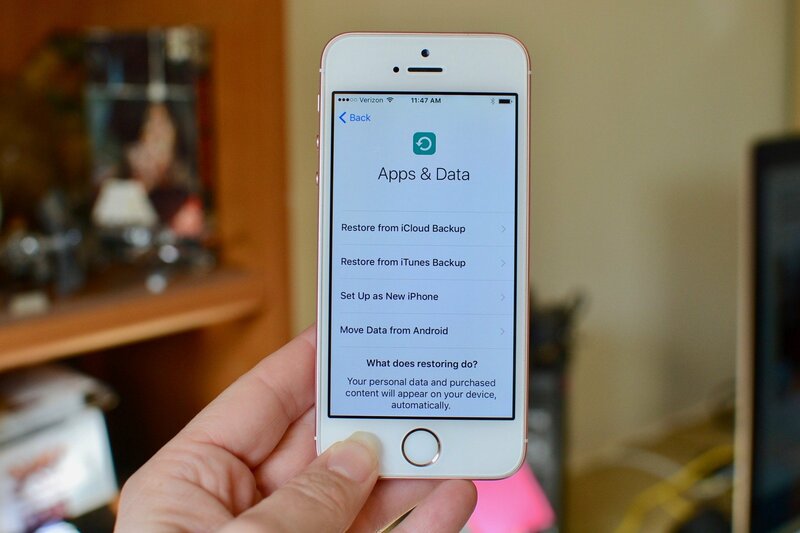 There are a handful of fantastic apps for backing up and storing your photos in the cloud, which will keep them safe no matter what happens to your iPhone. It all depends on what features you think are most important! Here are the absolute best photo backup services available for iPhone, iPad, and Mac! For those fully immersed in the Apple ecosystem, the iCloud Photo library is a must-have. Not only can you automatically back up all of your photos the moment you take a picture on your iPhone, but you can also quickly access them from any Apple device instantly, including iPhone and iPad, Mac, Apple TV, and any computer or mobile device via iCloud.com. High-resolution originals are stored in iCloud, while smaller mobile versions are kept on your iOS device, saving precious storage space while giving you access to all of your photos. The Photos app on iOS and Mac has basic photo editing features, like cropping, retouching, adding filters and manually adjusting levels, white balance, and other tweaks. With iCloud Photo Sharing, you can show off your vacation pics to friends and family with iOS devices so they can "like" and comment on them. Cloud storage for Apple is free for the first 5 GB and jumps up to 50 GB for only $0.99 per month. The average person will need more than 5 GB (especially because iCloud storage syncs more than just your photos — it's also where your iPhone backs up). The 50 GB tier is just right for most users at just $12 a year. If you need more, iCloud storage pricing is reasonable with 200 GB costing $2.99 and 1 TB running $9.99. If you are an Apple family, the iCloud Photo Library is deeply integrated into all of your devices and keeps your original photos safe and easily accessible across multiple devices. If you have an Amazon Prime account, storage limits are not an issue when it comes to backing up your photos. You can take advantage of unlimited storage to automatically upload all of your pictures to Amazon Cloud. The desktop app, Amazon Cloud Drive, grabs all pictures from your computer automatically, while the iOS app uploads your entire camera roll (including iCloud Photo Library pics). Photos are accessible from Amazon's iOS Photos app, desktop Cloud Drive app, or your Amazon Cloud account via the web. Amazon Photos does not have any editing features, but it has decent organizational tools that let you quickly create albums and sort pictures by date. You can easily share individual photos, or share an entire album, using the app Share feature, to email, SMS, Facebook, Twitter, and more. If you have a massive amount of photos, especially high-resolution pictures that take up a lot of data, and you have an Amazon Prime account, the Amazon Cloud service is a great way to back up your photos without worrying about space. Adobe's photo syncing service, Creative Cloud includes an amazing, feature-rich application for photography enthusiasts and professionals. With Creative Cloud, you can access and edit images across multiple devices and sync changes as you work. The key to Adobe's service is project creation and photo editing. You must have a Creative Cloud account, which costs $9.99 per month, to upload and sync photos and edits, but the service also includes access to a number of photo and video project apps, like Photoshop, Slate, and more. Once uploaded, you can meticulously adjust picture quality using Lightroom for tone curve, split-tone, noise reduction, lens correction, camera calibration, and more. All of your changes are immediately available between desktop and mobile devices. It is ideal for taking your pictures one step further. If you are a heavy photo editor and want access to robust and professional tools, Creative Cloud with Lightroom and Photoshop is a great backup service to use. These days, practically everyone is connected to Google in some way or another, whether it is through Gmail, Hangouts, or YouTube. Having a Google account can be beneficial if you want to use the company's cloud storage to back up your photos. You can add pictures to Google Drive, which will automatically sync to the Photos app, or back up your entire collection of pictures using the Desktop uploader and iOS app. Google Photos provides some pretty amazing organizational tools. For example, it will automatically recognize such things as people, places, food, and events, and organize them into collections for you. Plus, you can build your own personal albums, or create shared albums that others can access via a link. You can even let the recipients add their own content to a shared album. Google Photos also includes some basic editing features, like adding filters, tweaking lighting, and color balances. Google Drive includes 15 GB of free storage with additional plans starting at $1.99 for 100 GB. If you are big on sharing albums with others for collaborative purposes, Google Photos is a great option. Microsoft's cloud storage service may be great for keeping your work documents in the cloud, but it also has a nifty camera uploader that can automatically send your iPhone's camera roll to OneDrive. With the desktop app, you can access and download pics to your computer. You can also download them onto any device by visiting OneDrive Live and logging into your account. On iOS, you can simply toggle the Camera Backup feature on and all of the pictures on your device will be uploaded to the company's storage service. It has great organization tools, like adding tags and creating albums. And, you can share files and albums with others by inviting them to collaborate or sending a link. Use OneDrive alongside Microsoft Office apps, like PowerPoint, to import pictures into documents. If you tend to use Microsoft's suite of productivity apps, OneDrive is a great app for having direct access to your photos from other Office apps. Dropbox is an incredibly useful cloud storage service for backing up all kinds of documents. Like OneDrive, it also has an automatic camera uploader that will constantly update with your newly taken photos. These images can be viewed right in the Dropbox app for iOS, or using the desktop app. When you log into your Dropbox account via the web, you can access your photos anywhere. You can add comments to photos and include names from your contacts, which will notify each person that is mentioned. You can create new folders and share them with other Dropbox users. You can also send a link that will allow the recipient to view pictures without needing to be logged into a Dropbox account. If you want to be able to share your photos with anyone, whether they have an account or not, Dropbox makes it easy to upload everything on your computer and share it with others. Do you have a favorite photo backup service? What are some of its features that make it the best option for you? Updated January 2019: This article still has the best of the best options for backing up your photos! If anything changes, we'll be sure to update our list ASAP!